I don’t know about you, but those stories are getting tired and quickly losing their impact. How many grinning speakers at glitzy conferences have told you to get comfortable with failure? Some of us probably don’t have enough fingers to count them. Now I’m not disagreeing with these encouragements, overstated though they may be. Instead, I’m wondering if there isn’t something more important for us to learn from the endless hours and small experiments involved in our innovation work. In fact, I think there are at least three other important lessons that don’t get as much stage time but are critical to helping us to become the innovators that can truly bring revolutionary ideas into the world. One of the values of taking time to explore and develop your idea, is how that time will inevitably change you. When we live with our ideas, they become part of us. As we work on them in our minds, on paper and in real life, we grow in very demonstrable ways. Leo Tolstoy said, “Everyone thinks of changing the world, but no one thinks of changing himself.” We fail to realize that the greatest product produced through our innovation work just may be who we become. But that isn’t to say that time doesn’t also have great impact on our solutions. I have watched over and over again how time is the very best integrator. One of my mentors once told my wife and I that we had to “let our idea cook.” What he was trying to tell us was that our idea needed to be tied together with many other ideas that we already had or may soon have. While the idea by itself might be good, it will be ten times better when integrated with other important concepts that may come from dramatically different experiences, industries, and domains. Time also allows us to apply our ideas in multiple settings. Many times, great concepts are too narrowly imagined. We come up with a new innovation in response to a very specific opportunity or challenge. But by working with it over weeks, months or even years, we begin to see how our innovation might benefit from countless other areas of thought. With those mental exercises we expand the depth of our ideas, they cease to be trinkets and become compelling solutions. By understanding that the innovation process doesn’t only change our work but also fundamentally changes our own lives, we realize the real value of the time spent innovating. We might be learning determination in the face of failure. Or maybe we are learning about a certain intractable problem at a level that allows us to truly appreciate its complexity. 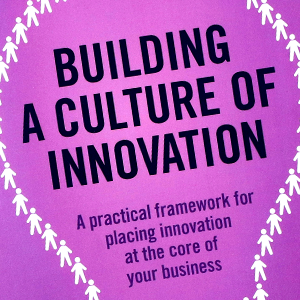 We might also be building the process skills that are a part of good innovation work. Whatever the case, the time spent innovating will leave us very different than when we started and that is to be celebrated and affirmed. It is one thing to come up with great ideas, but a very different thing to design, test and implement them. The time invested innovating teaches us the skills that will make us able to lead the organization that may just emerge. Now, we have all heard that some innovators and creators should never be managers. It is true that just because you can create a needed innovation doesn’t mean you can manage a growing organization. But that doesn’t mean that the innovator won’t grow and develop given time and effort. In fact, to help get ideas to the point of being an organization in need of a good manager, we as innovators will have to have plenty of emotional intelligence, financial know-how and HR savvy. The time that we spend with our innovations become “life labs” to teach the innovator how to do many of the things that we will have to do well in order to scale our idea. Milton Hershey took years studying the candy industry, serving as an apprentice and starting candy companies that failed before he had his first success with the Lancaster Caramel Company. But all that knowledge and learned patience allowed him to see that chocolate had a better future. He was able to sell his first successful business focused on caramel candy and launch the Hershey Company. We have all experienced how time can either lead to more or less focus. Think back to a time when you were working on a specific idea. As the hours or days pass, some ideas diffuse into rabbit trails leading nowhere; while others are refined slowly into more and more concrete concepts. That is partly how we know we have a good idea. If it evaporates upon reflection, we move on and look for our next thought experiment. Focus is hard and goes against our nature. However, it allows us to be more targeted and intentional. The more time we spend narrowing our approach, the more likely we are to gain mastery of the subject matter, target audience and business landscape. But that takes time. We can’t become instant experts of things that have been developing for decades.